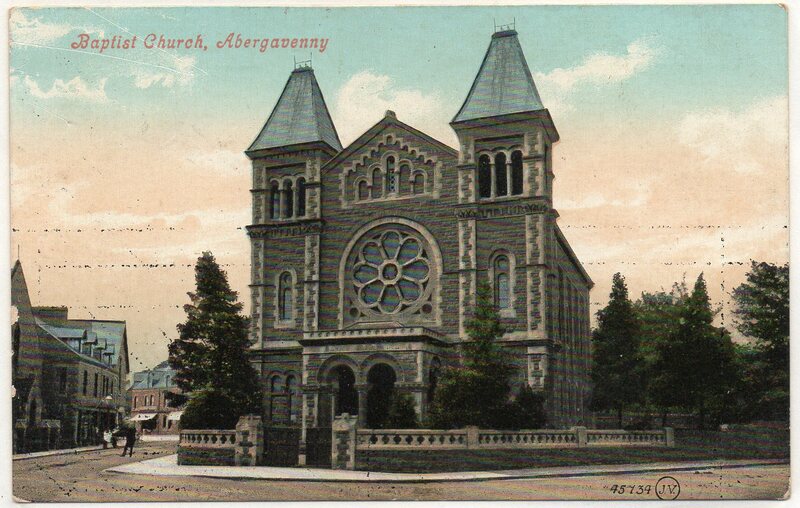 On 1 January 1807, the Abergavenny Baptist Academy started for the education of young men for the Ministry. In 1836, the Academy was removed to Pontypool and then to Cardiff. The Academy of 1807 was situated on the site of the Old Sunday School or Enon House, Pen y Pound. 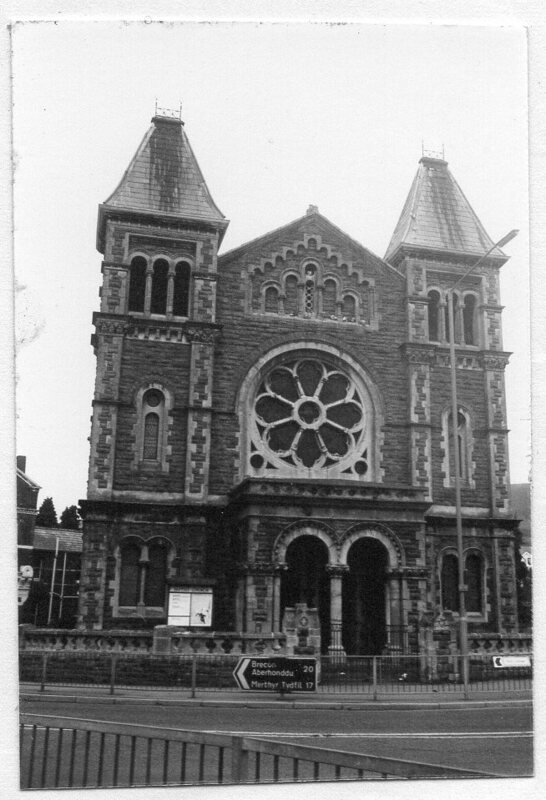 The Sunday School was demolished in the 1970s for an extension of Tesco’s supermarket. 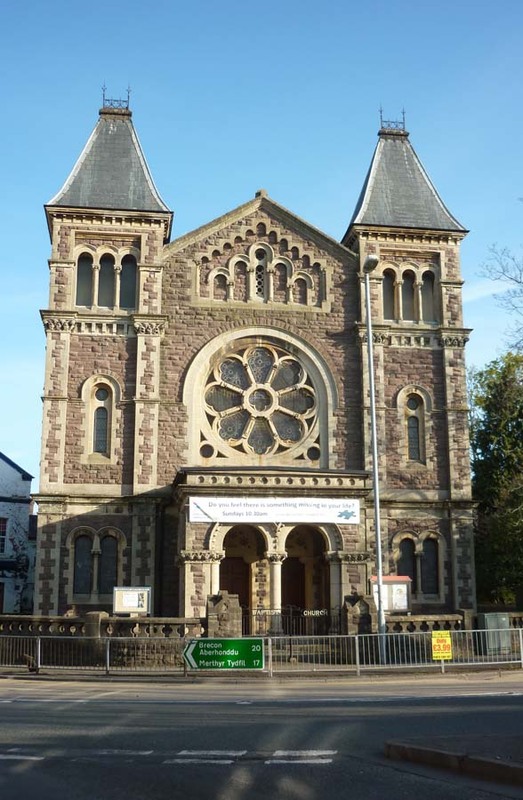 The new chapel built in 1877 on the corner of Pen y Pound and Frogmore Street is “French Romanesque Revival” style. A new floor was added in 1980 so that the chapel is on the first floor with the schoolroom below.